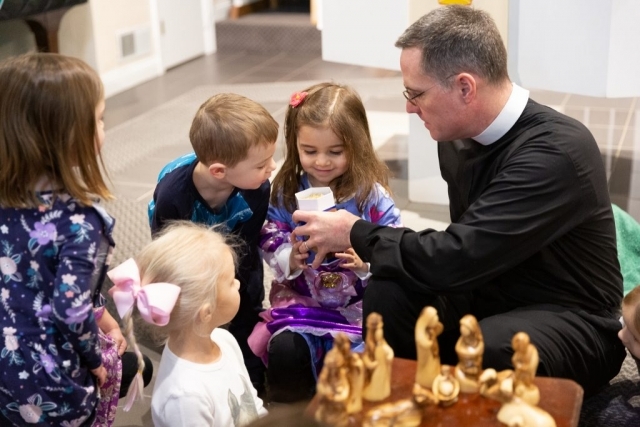 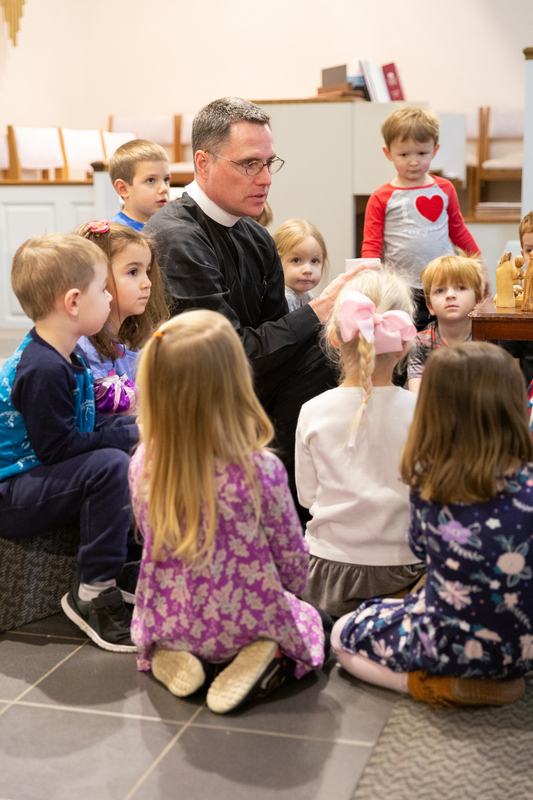 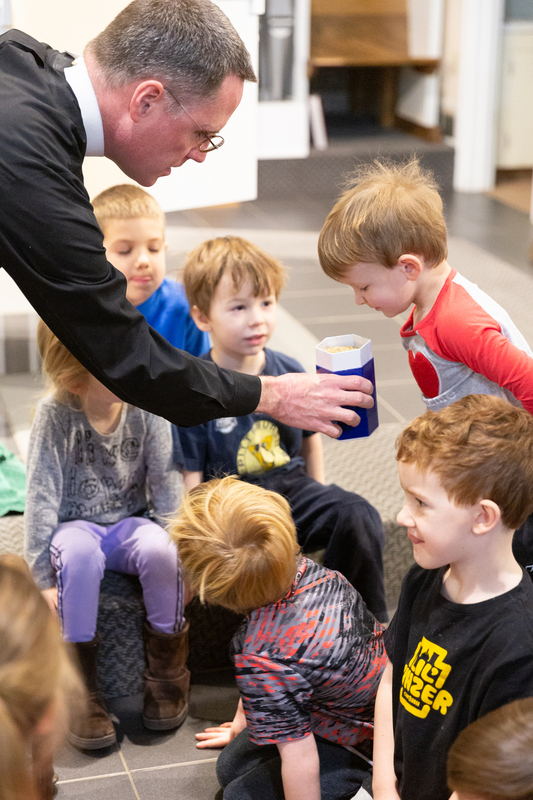 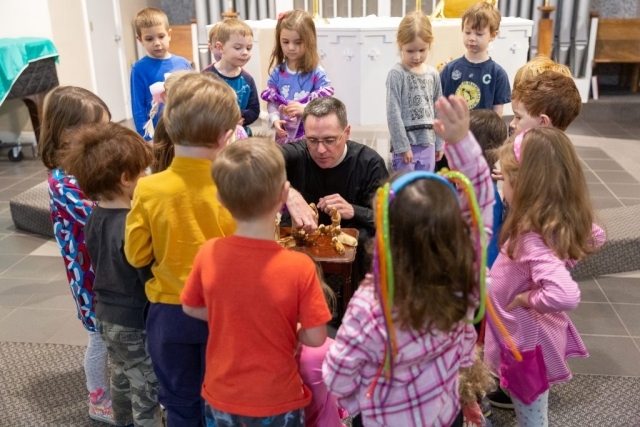 Children in the three-year-old and four-year-old class at Good Shepherd Preschool of Fox Chapel participate in Chapel Time once per month. 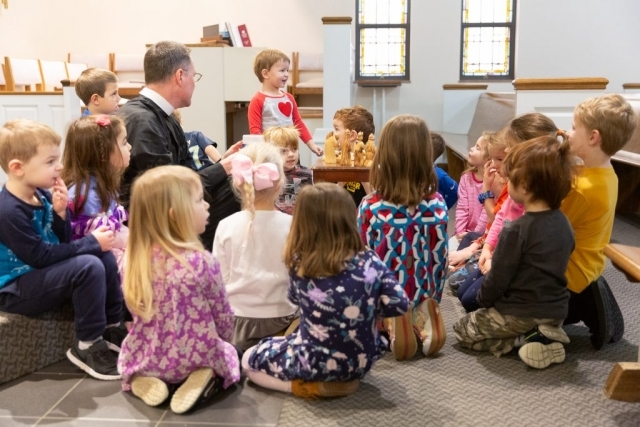 The children meet with the pastor of Good Shepherd Lutheran Church in the Sanctuary. Then, the pastor leads the children through an age-appropriate Bible lesson and songs.